News Agency: After the recent conflict between Saudi Arabia and Canada, Saudi Arabia suspended all the flights, scholarship programs thus students are returning back to Canada. Saudi Arabia's Ministry of Education said, "All the Educational activities of Canadian Students, their fellowship programs are halted and Saudi students in Canada will be transferred to other countries. According to the CNN report, Saudi Arabia's official airline 'Saudi' has Suspended all flights that were going to Toronto next week. Canada's Foreign Minister, Christia Freeland, said in response to Saudi-led measures, "Canada will always raise its voice for human rights, women empowerment and freedom of expression." We will never hesitate to encourage these values, and we believe that this dialogue is very important for international diplomacy too, She said. Christia Freeland said that the Canadian Embassy in Riyadh is continuing its work with consulate including Consulate Services. The Canadian Foreign Minister's statement came after Saudi Arabia ordered the Canadian ambassador to leave the country, suspending all trade and investment issues with Ottawa, ordering all the Canadian ambassadors to leave the country. According to the Saudi Gazette report, after Saudi Arabia expires all contracts and deals from Canada, Canada may face economic sanctions. READ MORE: A 50 Years Old Sikh Thrashed in US, Told to 'go back to your country'. 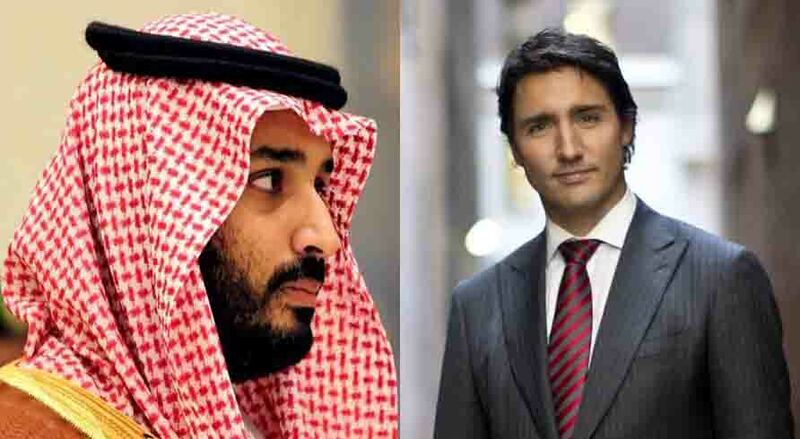 Last week, Saudi Arabia moves to end all diplomatic relations and agreements with Canada after Canadian Foreign Minister and Canadian Embassy in Saudi Arabia emphasized Saudi authorities that "the members of the civil society" should be release instantly. The Canadian Embassy on Friday blamed social media that "We urge Saudi authorities to release all the arrested social activists peacefully." It is clear that since the mid-May this year, 15 workers criticizing the Saudi government have been arrested, without any charges and guilty and neither anyone have any Information of those people.